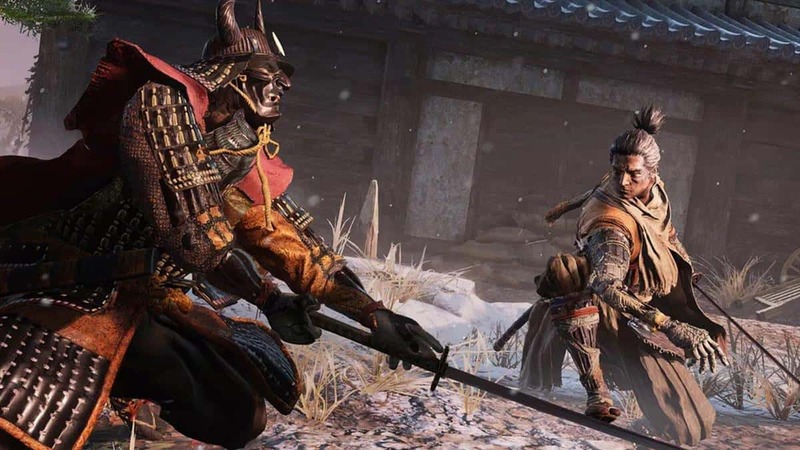 Our Sekiro Ashina Reservoir Walkthrough Guide will help you with the first playable section of Sekiro Shadows Die Twice, get to the Divine Heir, and help him escape the area. 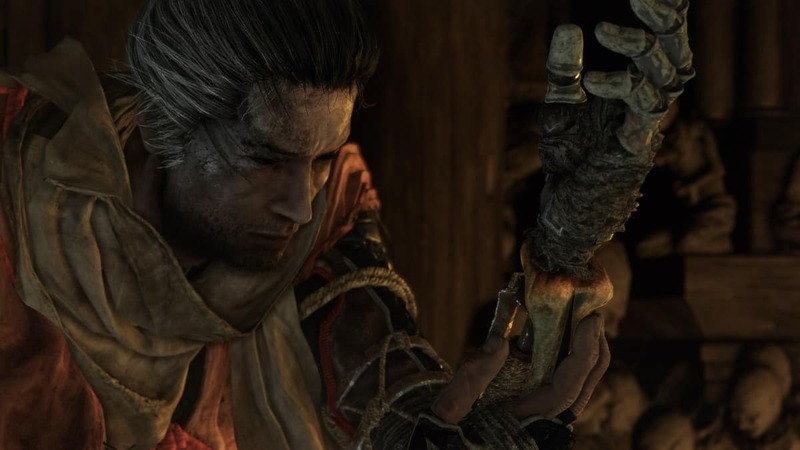 Our Sekiro Shadows Die Twice Walkthrough Guide will also help you locate Key Items along the way so that you do not miss anything in your pursuit to 100% the game. 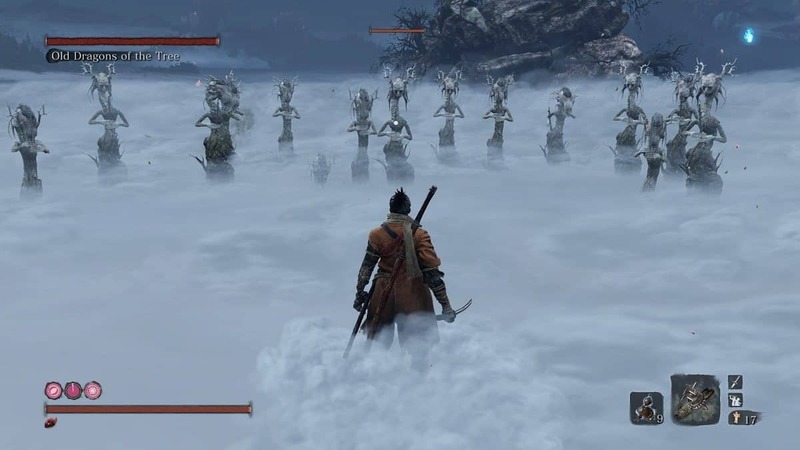 After the Prologue, you will start Sekiro Shadows Die Twice at Ashina Reservoir. Your first objective is to pick up the Ornamental Letter and then make your way to the Moon-view Tower. Follow the Tutorial Prompts and after that, you will come across a snowy pathway. Look behind you and start moving in that direction and you will come across a broken door and that is where the Ornamental Letter is. Go back to the tunnel exit and then make your way ahead. You then need to hug the wall and cross the ledge in order to progress. This should trigger a small Stealth Tutorial and you must go cross this area completely undetected. Quickly hide in the tall grass and move ahead until you come across a hut where you will learn how to eavesdrop. Leave the area through the other end and you will be able to eavesdrop on the soldiers on the bridge. The gate ahead is locked but the soldiers mentioned a broken section of the tower. You need to enter the tower through this broken wall. A small tutorial will begin teaching you ledge hang. Hang onto the ledge and climb up until you get to the section with a broken wall. Here a cutscene will play and the Wolf will get his Kusabimaru sword. Talk to Kuro again and he will give you a Healing Gourd and will ask you to help him escape the Ashina Castle. Your objective here is to find the hidden path and do a “Reed Whistle” to signal the Divine Heir. Go out through the main door and kill the first enemy you find. After that, just follow the path and kill all the enemies in your way. Enemies in this area are relatively easy to defeat. 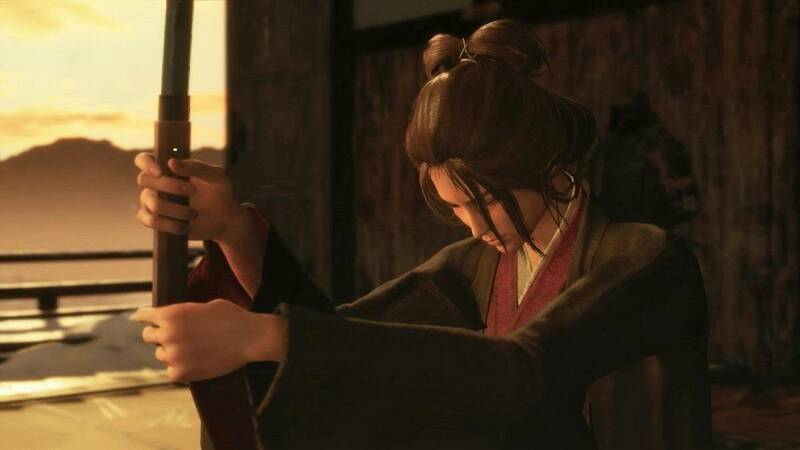 Eventually, you will come face to face with Leader Shigenori Yamauchi who is your first mini-boss of Sekiro Shadows Die Twice. This one will be a bit difficult but it will not cause much problem. Defeat the mini-boss and make your way ahead to find another door locked. Make your way ahead to the only path and you will come across two paths one takes you the bridge while the other one takes you down. Jump to grab the ledge ahead and keep going up to continue. Here, another tutorial will pop up. Complete it, go up, and eavesdrop on the enemies ahead. Continue along the ledge and climb up. Defeat the Straw-Hat enemy and shimmy across the ledge to work your way down until you reach the door. Do a “Reed Whistle” to signal the Divine Heir to join you. Go through the cave and through to the other end. Lord Genichiro Ashina is the first boss you will encounter in Shadows Die Twice. He will defeat the Wolf, cut his arm, and will take Kuro with him. 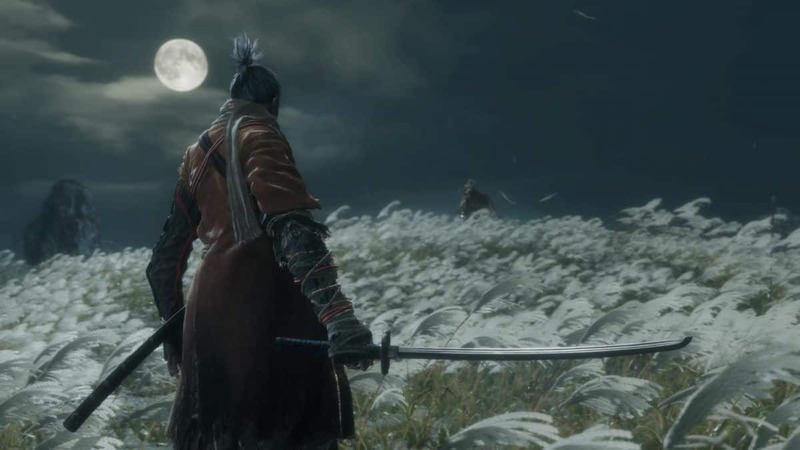 This is where Sekiro Ashina Reservoir ends and you will wake up in the Dilapidated Temple where a cutscene will play. That is all for our Ashina Reservoir Walkthrough Guide. 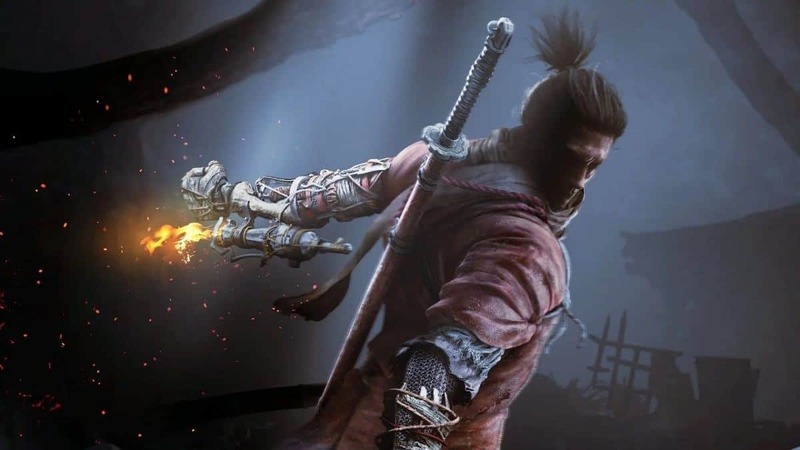 For more on Sekiro Shadows Die Twice, be sure to check out our Sekiro Homepage linked above.